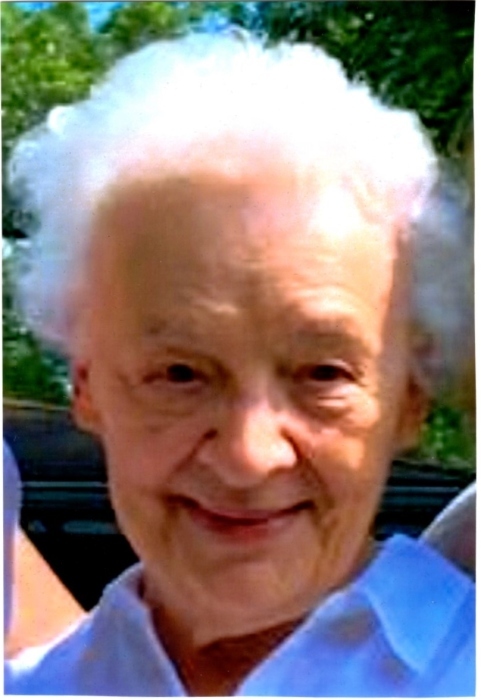 Mary Purcell of Griffith, Indiana, passed away peacefully at her home on Wednesday, February 6, 2019. She was born on September 16, 1926, in Perth Amboy, New Jersey, to Joseph and Agnes Krasnansky, immigrants from Czechoslovakia, the family shortly thereafter moving to Gary, Indiana, where she attended elementary and secondary schools. A graduate of the R.N. 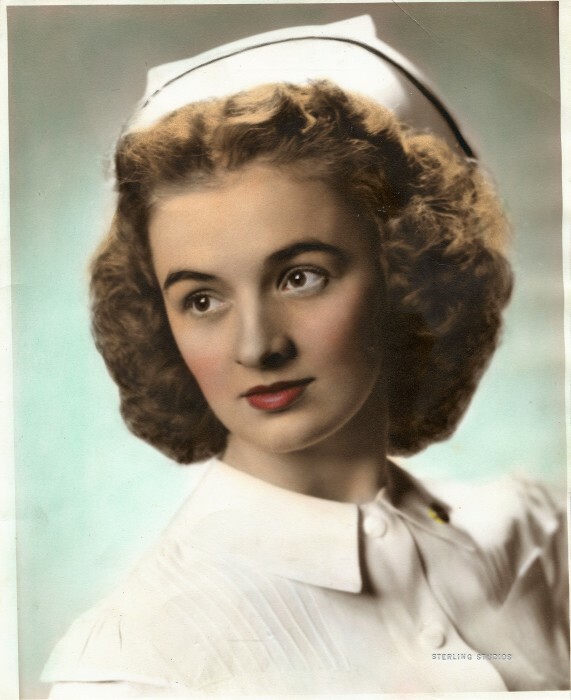 program of the St. Mary Mercy Nursing School in Gary, Indiana, Mary served as a hospital nurse for some years before meeting and marrying Richard Purcell, M.D. Moving to Griffith, Indiana, they raised their family of eight during which time Mary did triple-duty as wife, mother, and nurse in her husband’s medical practice. Mary was a long-time member of the faith community at Saint Mary Catholic Church in Griffith, Indiana, where she was active in several aspects of ministry, most recently the Altar and Rosary Society, the Resurrection Choir, the Funeral Luncheon Committee, the Bible Study group, and the weekly Peace Prayer group. She was active in her community and a supporter of many local events throughout her lifetime, as well, recently being an officer of the Swinging Senior Club at the Griffith Senior Center. For years, Mary mystified her family members and the hometown library staff with her avid reading habits. Mary is survived by her children Lee Purcell, Dee (Jim) Sweeney, Robert Purcell, Michael Purcell (fiancée, Andrea), Mark Purcell, Thomas (Laurie) Purcell, and Julie (Kent) Sterling; her grandchildren Matthew, Patrick, Joseph, Ryan, Troy, Kyle, Megan, and Sarah; her great-grandchildren Julia, Kate, Leo, Liam, Emma, and Aiden; her sister Dorothy Tartaro of Massachusetts, and cherished cousins, nieces and nephews. She was preceded in death by her husband of 45 years Dr. Richard J. Purcell and their beloved son, Joseph; her parents, Joseph and Agnes Krasnansky, and her brothers Joseph and John Krasnansky. Her Funeral Mass will be celebrated on Tuesday, February 12, 2019, at Saint Mary Catholic Church in Griffith, Indiana, at 10:00 a.m. with Father Theodore Mens presiding. There will be a viewing one hour before the Mass at the church. Interment will be at the Calumet Park Cemetery in Merrillville, Indiana, following the Funeral Mass. Visitation for family and friends will be held at the WHITE FUNERAL HOME in Griffith, Indiana, from 3:00 to 8:00 p.m. on Monday, February 11, 2019. A Vigil Service will be held there at 4:00 p.m.
Mary was an example of simple, steadfast discipleship, a follower of the Lord whom she continuously strived to know, love, and serve better. For more information please contact WHITE FUNERAL HOME AT 219-924-4100 or visit us at www.whitefuneralhomeofgriffith.com.